Founded in 1996, Mercal Consulting Group is an international consulting group, which is also integrated with IMCN (Independent Management Consultancies Network), a network of international consulting firms. Mercal specializes in the areas of Management Consulting, Finance and Marketing, Corporate Mergers and Acquisitions, Business Internationalization, IT Consulting, Applications for Grants, Training and Human Resources. Mercal Consulting Group has more than 23 years of experience and more than 1000 projects developed nationally and internationally. All the consultants and associates of the Mercal group have long experience, nationally and internationally. We deliver pragmatic solutions to our customers, enabling them to consistently achieve their business development goals. We focus on results and offer innovation in order to find solutions to the many challenges faced. In addition to its activities in these areas, Mercal Consulting Group, as mentioned above, is part of the IMCN - Independent Management Consultancies Network. Established in 1994 and headquartered in Switzerland, this network of dynamic management consulting firms consists of 220 professional management consultants and 110 associate management consultants spread across Europe, Africa, America and Asia with extensive experience in international projects. Through its participation in this international network of consulting companies, Mercal Consulting Group is able to support the development of business on the four continents. 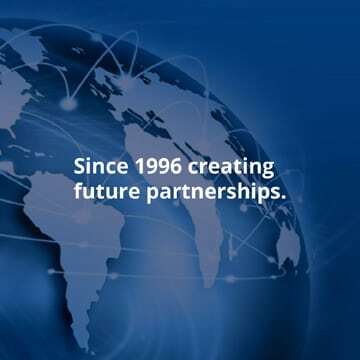 Since 1996 to creating future partnerships. Develop ongoing relationships with our partners, based on trust and a work of excellence, promoting the growth of your business, nationally and internationally. Be the best consulting group to generate value for our customers, partners, shareholders and employees. We do not want a client for today. We build the future with you. Do you need more information? Contact our specialists for free.